This doesn’t really fill our Friday comedy spot: it’s not funny but it is joyful — a flash mob delivering an early Christmas miracle. Because food courts look the same everywhere, it seems like this could happen anywhere. This one happened in Welland, Ontario. This entry was posted in TGIF on December 10, 2010 by Michael Happy. Dickinson at age 17. There is no authenticated later photo of her. 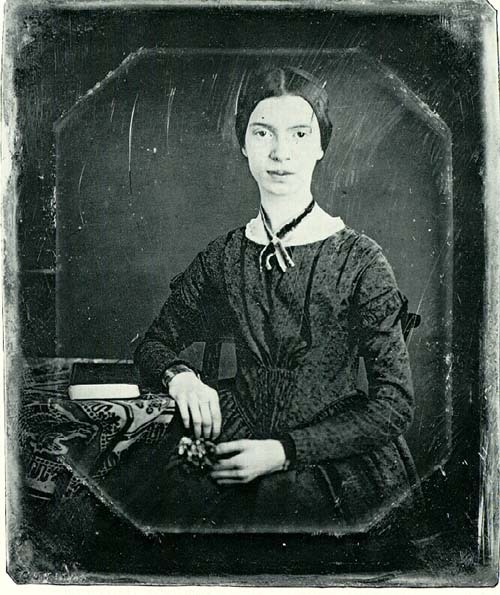 Today is Emily Dickinson‘s birthday (1830-1886). This entry was posted in Birthdays on December 10, 2010 by Michael Happy.